I will start by saying that the Geographic Science program at JMU is fantastic, with a lot of very down to earth professors and students. Classes are taught in a warm environment, and it feels almost too good to be true. As a matter of fact, the whole science department is growing and I honestly wouldn't be surprised if it becomes tough competition with Virginia Tech pretty soon. Now for the school itself, I can't complain. It's got good food, a good bus system, things to do on and off campus, and a good girl to guy ratio. Some of the students though, especially a lot of the "frat guys" can be very arrogant and obnoxious though. There isn't a lot of diversity within the student body, so there are quite a few of these types of people. Student body is very good looking too, so if you're average looking like myself, you may at times feel very self-conscious. In terms of how the students care about school, it really varies. I've met a lot of very motivated individuals, but also quite of few that are the opposite. While I did get into Virginia Tech, I chose JMU over it because I felt more comfortable on the campus and it is more affordable. Now, midway into my sophomore year, I am happy about that decision, yet slightly curious to know what it would've been like if I had gone there, and if I would've had a better experience there. 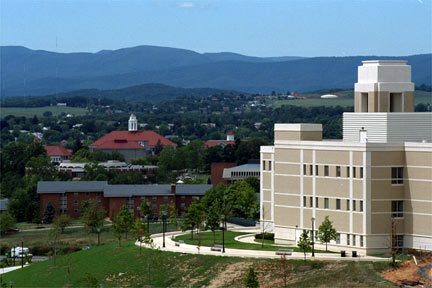 All in all though, JMU is a decent school.